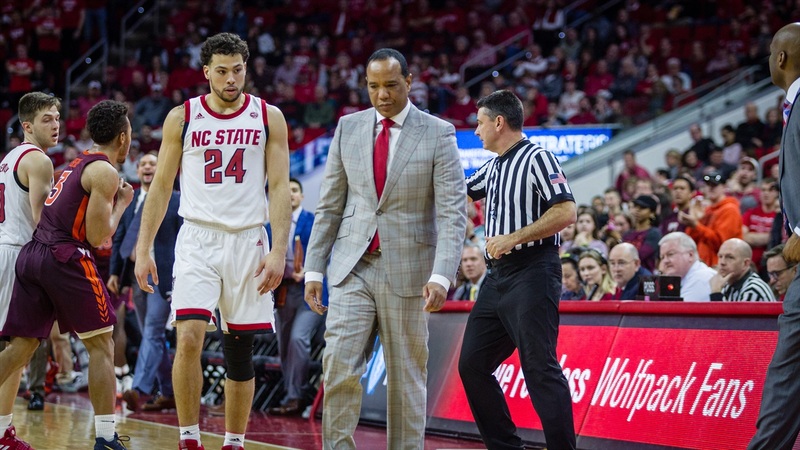 NC State head coach Kevin Keatts answered a few questions from the media on the ACC's weekly teleconference. We’re coming off a week where we played two road games. It was good to see us get back on track scoring wise against Carolina and Pittsburgh. They did a great job and won and we had a tough game at Pittsburgh and were fortunate to get a win. Now our attention is on Syracuse for Wednesday. Do you exclusively practice zone offense before Syracuse? As everybody knows, Syracuse plays 99-100% zone. We have to work on a lot of zone offense but we have to figure out how to stop them. You have to have a good mixture offensively and defensively and obviously you have to make shots. We’ll have a good balance the next couple days of really concentrating on our defense and playing against their zone, which is effective. We don’t really look at it during the season. If our NET is 40 and our RPI is 120-something, I’m going to side with NET and hopefully that’s what they go with. I don’t think anybody has figured out anything. I do know that I thought the RPI was outdated... and we’re all trying to figure out the NET. If we’re 40 or below in the NET, then I think the NET is right. The Water Cooler IPS Retirement Home Ticket Exchange Do You Have A Problem?